Do you dread facing your club retriever? You know, the guy or gal who runs down every shot and never seems to tire? If you don’t know precisely how to deal with a retriever, they’ll run you straight into the ground. Ultimately, you’ll end up frustrated and annoyed. But with a few key changes in your game, those pesty retrievers will never be a problem again. So how do we beat a retriever in tennis? There are four methods to deal with this kind of player. We can serve and volley, chip and charge, slice their high looping shots, and bring them to net. I’ll go into all four methods in detail so you know how and when to use them. Any combination of these methods will disrupt a receiver’s game and strike fear into their heart. As a former retriever myself, I can tell you these methods definitely work. The serve and volley is perhaps the best strategy for dealing with a retriever. It occurs when you come to the net directly after you serve. Typically, you will only come to net on a first serve, but you can come to net on a second serve too. The latter strategy depends on how good your second serve is and the level of your competition. It’s often been said in tennis, “you’re only as good as your second serve”. I agree with that for the higher levels. But at the lower levels 3.0-4.5 rating, you can get away with a mediocre second serve. This means you can come in on both first and second serve at these levels. Keep in mind you can only employ serve and volley when it’s your turn to serve, which is approximately half the games of a full-length match. 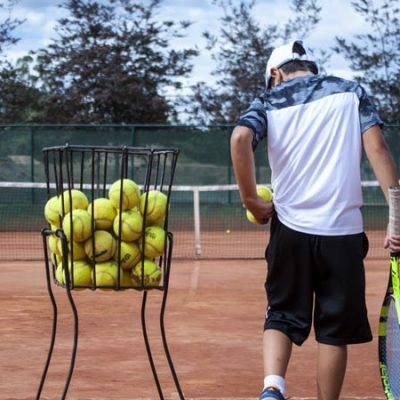 For this strategy to work, you need good volleys and overheads fundamentals. 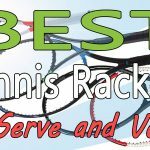 If you want to know very specific strategies for the serve and volley game, I wrote a long, detailed article that explains a great deal of it. In this post, I’ll limit my discussion to the basics and why I think it works very well with retrievers. By serving and volleying, you disrupt the rhythm of the retriever. Your average retriever loves to get into a rhythm on their shots and thrives on it. By serving and volleying, you totally disrupt them and force the opponent to hit passing shots that are out of character for their strokes. 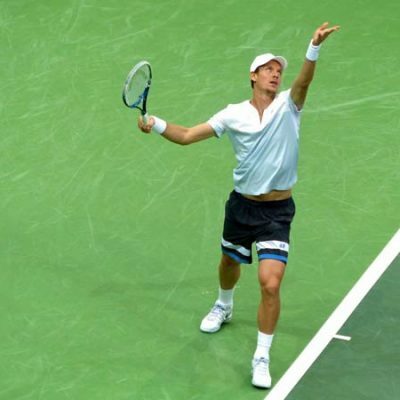 The serve and volley is an offensive strategy that forces the action. By coming into the net, you intimidate the retriever and force them to hit a passing shot or lob to win the point. Since most retrievers are not used to hitting fast-paced shots or winners, they’ll likely make an error trying to pass you. 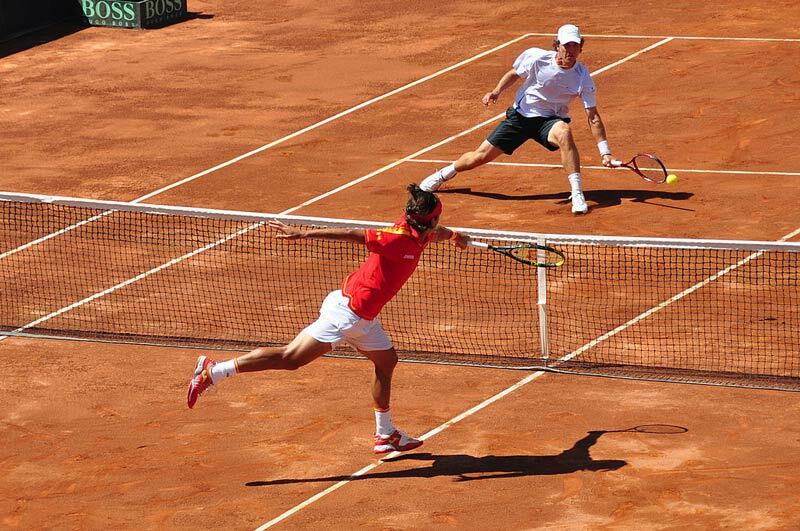 All retrievers like time to set up for their baseline groundstrokes – this is especially evident on clay. 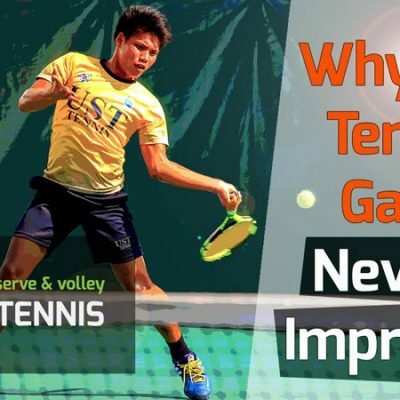 By coming to net and hitting a volley, the retriever loses precious time and must scramble to hit a hurried shot. This pressure situation forces the retriever into a quick shot that is often very weak. Many times the return goes into the net or outside the court. All the retrievers I know have great endurance. To me, that’s their greatest asset. Retrievers win 90% or more of their points simply by making you miss, not by hitting winners. When we serve and volley, we reduce the length of the point substantially and expend far less energy than playing at the baseline. As a result, we take away the retriever’s greatest strength – their conditioning. I should point out first that when serving and volleying, you’ll want to stand fairly close to the mid-line – maybe not more than 3-4 feet away. This reduces your angle of approach and allows to you to cover the down-the-line pass better. 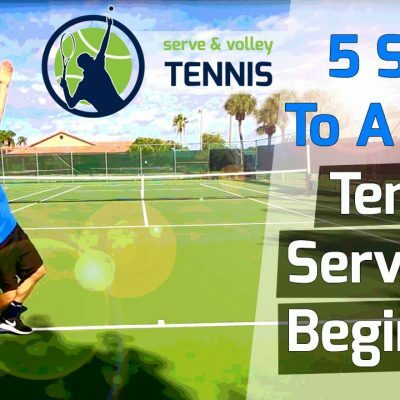 Here are the basics on the serve and volley. You need to choose your serve, and choose your target (zone). 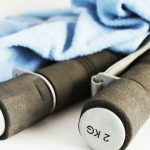 You should have three serves you can use at all times. If not, you’ll want to develop them. They are: flat (our fast serve), kick (high bouncing serve), and slice (side spin). The flat, fast serve can be very effective on hard courts. 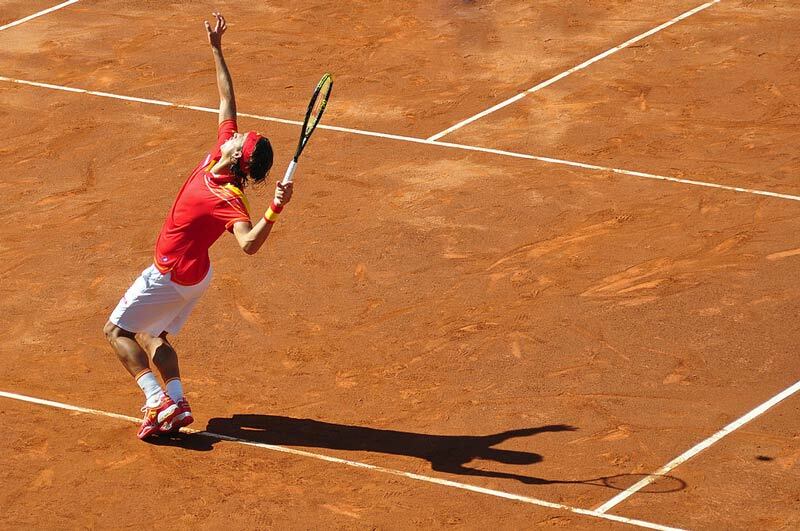 But on clay, placement is just as important, as the clay really slows down the ball’s pace. 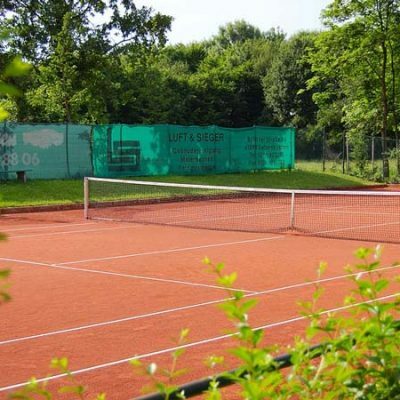 The kick serve is great to use on clay and is also effective on hard courts. 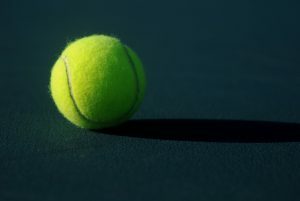 It causes the ball to bounce high, making it very difficult to hit back. The slice serve is underestimated and can be a powerful weapon if directed into the body or away from the returner. 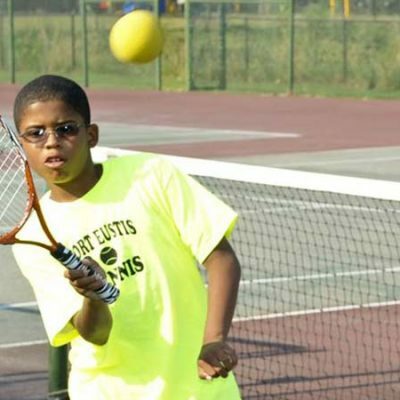 Once you choose a serve, think about hitting to one of three zones on the deuce side. The same philosophy can be applied to the ad side. The three zones are out wide, into the body and up the middle. Again, I wrote a comprehensive blog post on this topic with tons of important information. 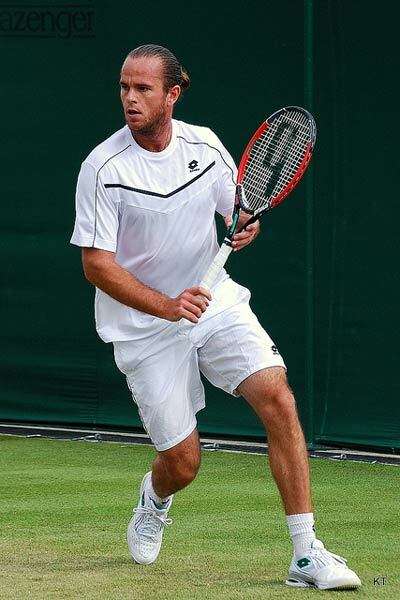 Use a split step on most volleys. On slow-hit balls you can use a flowing volley and move into the ball to crush it. Read my article on the Seven Volley Types so you know how to volley effectively at the net. All net play calls for one of these seven volley types. Knowing when you to use each one will be very helpful. Move in after your first volley and keep following in the ball. This puts more and more pressure on your opponent. Think about the first volley as a play that sets up your second volley, not as the put-away shot. This will take pressure off yourself to finish the point in one volley. 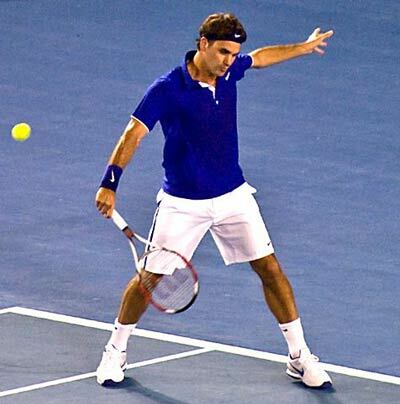 Maintain the “ready position” before and after each volley. When lobbed, immediately turn to your side and use a cross-step for the first initial move back. 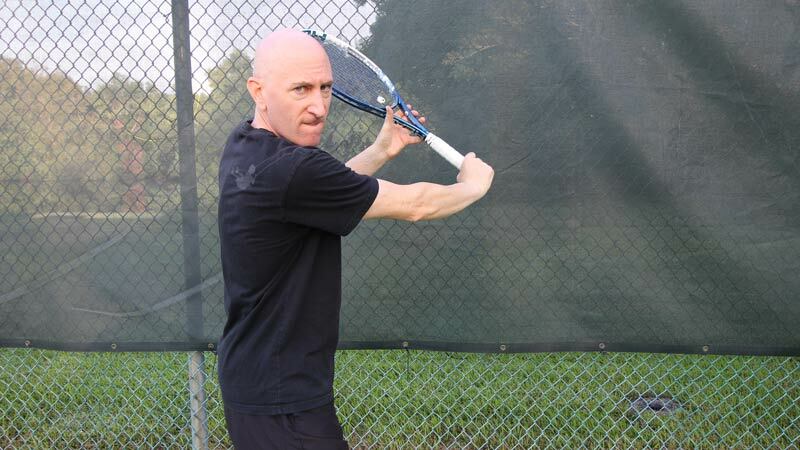 Make sure to get your racket up and in position to smash the overhead. 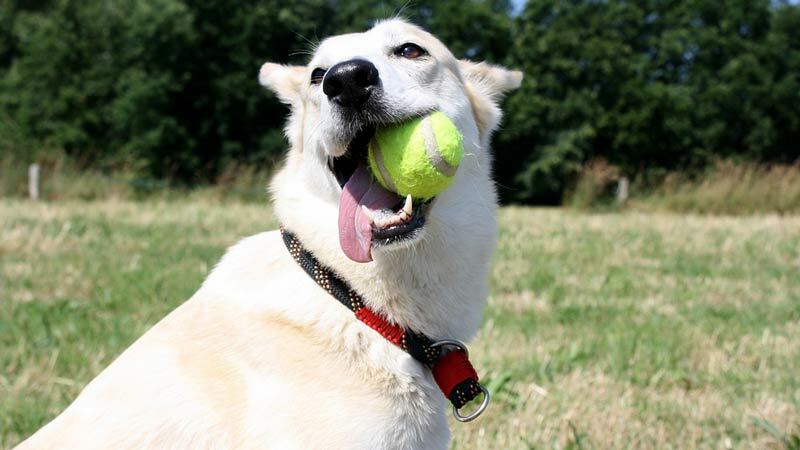 I hope you’ll try out the serve and volley the next time you play a retriever. It works very well. 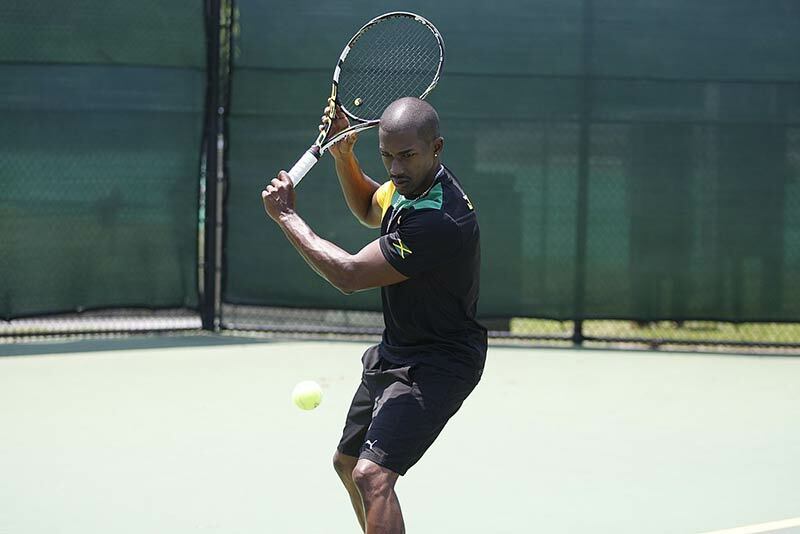 If you are not confident in coming to net, spend time practicing your volleys and your overheads. 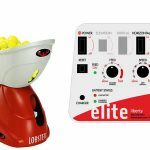 It’s well worth the time you put in if you can use the serve and volley to easily beat the retriever. 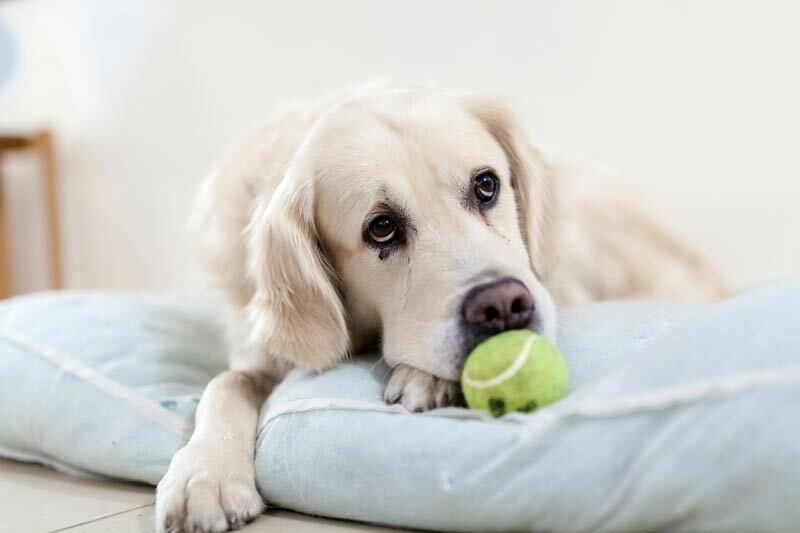 Remember, retrievers hate serve and volley tactics and often panic when they see someone coming to net. Even if you don’t want to serve and volley every point, at least throw in some points when you do. I guarantee you’ll catch the retriever off-guard on some of them and easily win the point. The chip and charge is a strategy you can use almost any time in the point. It employs using a hard, low slice and coming to the net behind it. The best place to slice is low to your opponent’s backhand side. It’s difficult for most club players to get low and scoop up shots hit near the deck. Even if they do, they’ll be forced to hit upwards. If you’re near or at the net, most of the time you’ll have a duck to put away. And nothing’s better than a sweet duck in tennis unless your opponent just misses altogether. 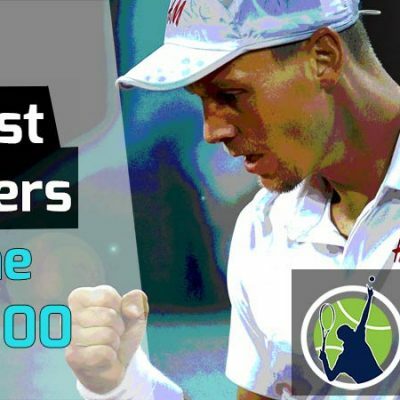 The masters of the chip and charge were the great serve and volleyers of year’s past, like Pete Sampras, Stefan Edberg and Patrick Rafter. In more modern times, Roger Federer has the best chip and charge. Most of the time, these masters will slice off the backhand wing, as should you. To use this strategy effectively, it’s essential that your slice be penetrating and stays low. If you tend to float your slice, then you need to work on it before utilizing the chip and charge. I also want to point out that you can slice off the forehand wing. While it’s rarely seen on the pro tour except for extreme defensive shots and defensive serve returns, it can be a very offensive weapon. 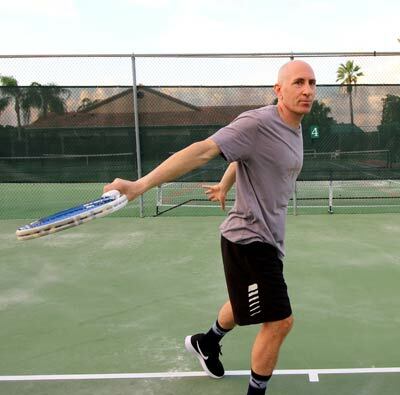 I’ve developed my forehand slice into a great weapon on the court. And I can use it to hit winners as well. A great play I like to use is hitting a hard, penetrating slice to the corner and then come in behind it. 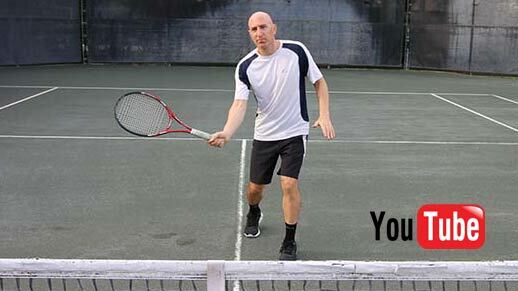 Like the serve and volley, you’ll follow in your slice and likely split step at the net for your first volley. Slicing close to the sidelines is always a good play, as your opponent is nearly off the court. And if you can slice so that your opponent must move in 5-10 feet, even better. Most retrievers don’t like to venture much inside the baseline, so this already gets them feeling uncomfortable. Slices also throw the timing off for retrievers who prefer traditional topspin groundstrokes. A good slice also robs your opponent of time, as the ball usually skids and stays low. Of course, you’ll need solid volley technique for this tactic to be effective. This is because you’ll be ending most of the points at the net. The good news is you don’t have to be a great volleyer to be effective at the net. 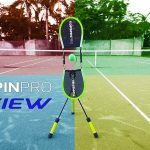 In my experience, if you have good technique on the block volley and the drive volley, that’s really all you need at the lower levels of tennis (4.5 and lower). The block volley is the easiest of all the tennis strokes. You simply block the ball back. If you can redirect the ball away from your opponent, you’ll win most of the points at net. It goes without saying that if you come to net you need a good overhead too. But even if you don’t, keep coming to net. On days where my overhead is not working great, I’ll either place the ball or hit it back deep (both without a lot of pace) and use that shot to come back to net. This continues to put pressure on my opponent. This tactic doesn’t require a lot of strategy but it work’s great against retrievers. Most retrievers love to hit you deep, looping shots that bounce up high. By doing so, they force you to hit high forehands and backhands, not allowing you to hit with power. As a result, you end up just getting the ball back and this pattern repeats itself over and over until you either miss or hit the ball out. If this is happening to you, you’re falling right into the trap of the baseline retriever. Don’t let it happen! They’ll keep this going for the entire match unless you change the pattern. So here’s how we change the pattern. We’re going to disrupt it by hitting hard slices from anywhere on the court. I highly advise you to slice on your backhand side when the ball is high. While hitting high forehands is easier than hitting high backhands, you should still use the forehand slice as liberally as you want. You may be wondering how this is different from the chip and charge? In the chip and charge, we slice and come in. However, in this tactic we stay back. Here are some key things to keep in mind when using the slice. Slicing high shots are very effective against the retriever and should be used often. You can slice from anywhere on the court. The best place to slice to your opponent is the open court, making them run. The slice shot can be hit in one of three general lengths – deep, medium and short (which is a type of drop shot). The slice takes away time from the opposition and forces them to hit up, which can result in an easy put-away. You can use your slice shot to hit a winner. The slice can be offensive, as well as defensive. I want to discuss a few key concepts about placement before we wrap up the slice. As I just stated, the slice can be hit to one of three general zones in terms of depth. When you become proficient at mastering the zones (long, medium and short), you confuse your opponent and always keep him or her guessing. Let me give you a few examples. If I see my opponent likes to play near the baseline, or a little closer in, I’ll slice deep, almost to their feet. This can result in many unforced errors. If my opponent plays way back of the baseline, I’ll hit a very shallow slice, which is almost like a drop shot. If my opponent is fleet of foot and gets to all my shots, I’ll begin varying my depth of slice in the rallies. Now, against a retriever, you’ll want to throw in a lot of short slices. Why? Because the retriever hates coming to net. It’s almost like their kryptonite. Once they are at net, they’re almost helpless, as we’ll soon find out in our fourth and final strategy for defeating a retriever. I’ve seen many, many matches played against retrievers that take place exclusively on the baseline. To break that pattern, either you or the retriever needs to come to the net. Yet we know the retriever is allergic to the net. Chances are they’ll never go on their own. It’s then up to us to bring them to net. But how? We bring the retriever to net by using the short slice (as mentioned in the last strategy) or by hitting a drop shot. This can be done from in back or near the baseline – meaning where you are standing. Hitting a short ball will force the baseliner to run in and get a racket on your shot. Sometimes you’ll win the point outright with a great drop shot. Other times the retriever will hit a manageable shot to you. At this point, the retriever has no choice but to remain close to net. Like a fish out of water, they’ll be in a panic and feel a bit helpless. All we need do is place the ball or lob them and the point is ours. In this circumstance, do not feel harried and think you must hit an amazing passing shot! Simply place the ball away from your opponent, or at the least, make them miss a volley or overhead. You can literally use this ploy on every single point. But I wouldn’t advise it because you’ll become too predictable and the retriever may begin anticipating you. If they do, they’ll run to the net early and feast on your dropper. Mix up the drop shot by using it on various points and various times in the rally. Keep your opponent guessing. While all of the strategies in this post will work against a retriever, I like this one the most because it’s the easiest to use. It doesn’t require a lot of athleticism, skill or movement. From the baseline, you can simply drop shot your opponent. Now it does take a little hand-eye coordination and feel so practice your short shots often to keep them fine-tuned. Disguising your drop shot is also paramount. If you telegraph too early, which is what most club players do, your opponent will start running forward. The key is to set up in the power position for your groundstroke and then, in a split second, turn it into a drop shot or short slice. This is a super effective strategy against any retriever and should be used often in a match with one. Try out each method and mix them up in your next match against a retriever. Remember, it’s good to disrupt the rhythm of the retriever as much as possible. Trust me, they’ll hate playing against you after a while. Ultimately, you’ll have the upper hand every time. 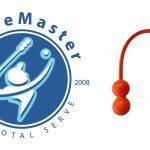 Imagine how good it will feel to walk confidently on court the next time you play any retriever, knowing you have the perfect strategy to beat them! Good luck and drop us a comment if you have a question.